Includes degree and non-degree seeking students. Includes only students with state reportable hours. Students who are exclusively enrolled in extended studies are not included. A count of enrolled students at each CU campus by residency and level. 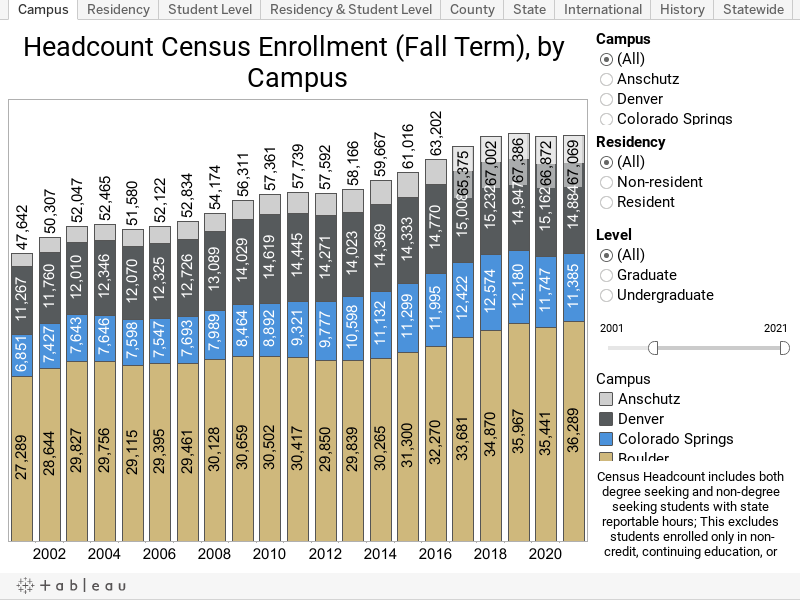 Data source: Campus Census Headcount Enrollment data, compiled by University of Colorado System Office, Office of Institutional Research.